Here are a few Kafka Interview Questions for you! 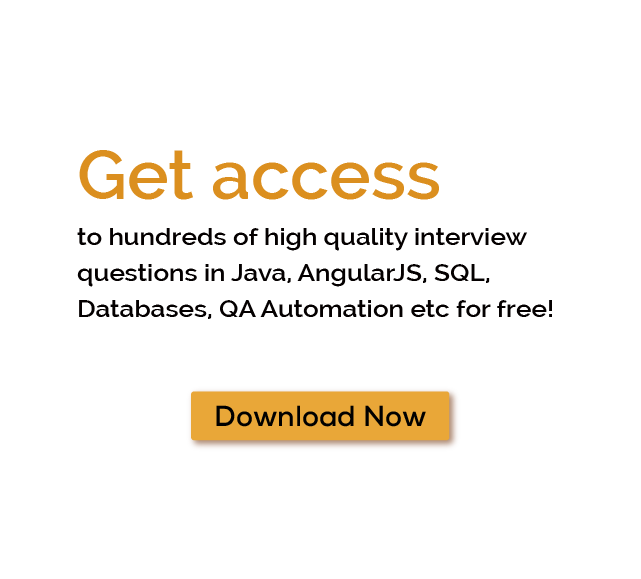 Download more High Quality Kafka Interview Questions! If you are not familiar with Kafka or have any query about its installation, operation and usability, this Apache Kafka tutorial can truly help you. Here we are explaining all useful information about Apache Kafka that will provide a clear understanding about it. A powerful distributed publish-subscribe messaging system that is designed to replace old message brokers. It was originally developed by LinkedIn, Now Apache Software Foundation currently manage it. Kafka is used for application streaming and data processing. It is highly scalable, fast and fault-tolerant messaging application. Kafka was originally written in Java and Scala programming language. It is a strong platform for distributed applications. Current Apache Kafka stable version is 2.0.0. You can download it from official website and documentation is available. A messaging system is a medium that transfer data from one application to another. There is two way to send data from one end to other. First one is a point-to-point messaging system and other is pub-sub (Publish-subscribe) messaging system. Most of the application used a pub-sub pattern for messaging. Point-to-point messaging system: - In this pattern, a message can be consumed by only one consumer. One who produces a message called sender and other consumers are known as a receiver. A message is consumed by only one consumer at a time because only one message can be available in the queue. Pub-sub messaging system: - This is new technology and most of the applications use this pattern for messaging. A producer is called publisher and consumer is referred as subscriber. In this system, message can be received by several consumers at a time. Why Kafka is very much popular ? Kafka is mostly used in real-time streaming data architectures that gives real-time analytics. As you know Kafka is very fast and scalable which makes it applicable for things like tracking service calls or tracking IoT sensor data. Kafka provides an excellent performance that’s why it is very popular. It is stable and scalable that uses Pub-sub messaging system to send the message. There are other applications which are available that offers similar functionality but Kafka is very popular because Apache Kafka replicates events using ingest pipelines. Kafka is mostly used for tracking website activity, stream processing, monitoring log aggregation and real-time analytics. Apache Kafka is integrated with Apache storm, Apache HBase in order to process real-time streaming data. Kafka is deployed as a cluster implemented many servers. It is capable to store ‘topics’ which include streams of ‘records’. Kafka cluster typically consists of multiple brokers to maintain load balance. The brokers are stateless so they use ZooKeeper for maintaining their own cluster state. Apache ZooKeeper is used to maintain Kafka broker. It is used to notify producer and consumer about new broker or failure of a broker in Kafka system. A producer is used to push data to broker. When a new broker is appeared in apache cluster, producer search it and send the message to broker. A consumer used to receive message by using partition offset. Producer API: - Producer API give permission to the application to publish stream of records to topics. Consumer API: - It permits an application to subscribe to topics and processes stream of records. Connector API: - This API executes the reusable consumer and producer APIs that can link to existing applications. Streams API: - It convert input stream to output. This API takes input from one topic and produce an output to one or more. Apache Kafka topics built of several partitions. Kafka stores topic in logs, a topic log is broken into partitions. Kafka store log’s partitions across multiple servers. A Topic can have many subscribers that is called as consumer group. It is broken into partitions for speed and scalability. What are consumers and users? What are the types of traditional method of message transfer? Explain Apache Kafka Use Cases? What is the role of offset? What is the role of ZooKeeper? What are Replication tools and its types? Explain Different APIs of Kafka? What is the purpose of retention period in Kafka Cluster? What do you know about partition in Kafka? Difference between point-to-point and pub-sub messaging system. What is Data log in Kafka? State Disadvantages of Apache Kafka. Kafka is very fast and powerful among all other distributed messaging system. Apache Kafka Installation process is simple and available on the internet. A fault-tolerant messaging application makes it more popular nowadays. Some of the many Kafka Interview Questions listed below will help you get an idea about what questions gets asked in such jobs related to Software Engineering & Tech. Get through the Kafka Interview bar with our selected Kafka Interview Questions for all Kafka enthusiasts! For thousands of similar Kafka Interview Questions login to our Website or download EduThrill. Experience the thrill of challenging people around the world on Kafka Interview Questions!